A wildlife camera trap is a camera left at a location, rigged so that any approaching wild animal will automatically trigger the shutter release and take one or more photos or video sequences, without the photographer being present. The first attempts to do this were made as early as 1877. In 1906, camera trap photos were seen widely for the first time when George Shiras published photos of free-living wildlife in the National Geographic Magazine. In the early years camera trapping was rather a specialist and limited activity, mainly because the equipment was bulky and difficult to use, involving weighty cameras and arrays of trip wires. But although the equipment was clumsy by modern standards, from the outset images obtained this way were especially attractive for the often candid and relaxed behaviour that was captured. Why are we camera trapping? Today camera trapping has been transformed by technology to become a major tool for conservation organisations like ZSL. Miniaturised heat and motion sensors have replaced wires and pressures pads. Invisible infra-red flash units provide night time monchrome images without the startling effect of conventional flash. Very large numbers of high quality digital images can be stored and modern batteries allow these devices to operate unsupervised night and day in remote locations for months at a time. This gives us the opportunity to learn new things about elusive wild animals and some of the problems they face. The images emerging from these projects are often engaging and useful in their own right, but we also need strong data management systems and robust analytical methods to turn the many 100s of thousands of images generated into scientifically valid conclusions. The development of new analysis tools has not so far kept pace with the potential created by the new technology. ZSL is working to develop the statistical theory behind new methods that make full use of the information emerging from camera trap surveys. We are also developing new software tools that make it easy to manage camera trap data and produce information that is relevant to critical conservation questions. We typically use arrays of camera traps spaced across large areas to assess the distribution and abundance of key species of conservation concern and conduct biodiversity surveys, or to understand the impact of humans on whole animal communities. However, we also sometime target key locations with cameras, such as dens or nest sites, to provide a history of the activity and behaviour of a target species. ZSL is carrying out camera trapping surveys like these across the globe, including projects in Europe, Africa, the Americas, South and South-East Asia, targeting iconic species such as tigers and okapi, as well as a huge range of lesser known wildlife. 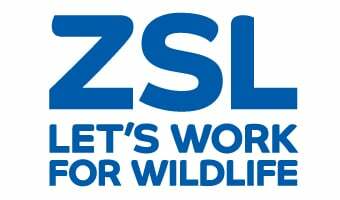 At ZSL the Conservation Technology Unit (CTU) has used funding from the Google Impact Award to build the world’s first satellite enabled camera trap for anti-poaching and remote monitoring. Read more on the Instant Detect page. Andanje, S.A., Bowkett, A.E., Agwanda, B.R., Ngaruita, G.W., Polwman, A.B., Wacher, T. and Amin, R. (2011) A new population of Critically Endangered Aders’ duiker Cephalophus adersi confirmed from northern coastal Kenya. Oryx, Short Communication, 45(3), 444-447. Caravaggi, A., P. Banks, C. Burton, C. M. V. Finlay, P. M. Haswell, M. Hayward, J. M. Rowcliffe, and M. Wood. in press. A review of camera trapping for conservation behaviour research. Remote Sensing in Ecology and Conservation. Cusack, J. J., A. J. Dickman, M. Kalyahe, J. M. Rowcliffe, C. Carbone, D. W. Macdonald, and T. Coulson. 2017. Revealing kleptoparasitic and predatory tendencies in an African mammal community using camera traps: a comparison of spatiotemporal approaches. Oikos 126:812-822. Cusack, J. J., A. J. Dickman, J. M. Rowcliffe, C. Carbone, D. W. Macdonald, and T. Coulson. 2015. Random versus trail-based camera trap placement strategy for monitoring terrestrial mammal communities. PloS One 10:e0126373. Cusack, J. J., A. Swanson, T. Coulson, C. Packer, C. Carbone, A. Dickman, M. Kosmala, C. Lintott, and J. M. Rowcliffe. 2015. Applying a random encounter model to estimate lion Panthera leo density from camera traps in the Serengeti National Park, Tanzania. Journal of Wildlife Management 79:1014–1021. Hofmeester, T. R., P. A. Jansen, and J. M. Rowcliffe. in press. Quantifying the availability of vertebrate hosts to ticks: a camera-trapping approach. Frontiers in Veterinary Science. Hofmeester, T. R., J. M. Rowcliffe, and P. A. Jansen. 2017. A simple method for estimating the effective detection distance of camera traps. Remote Sensing in Ecology and Conservation 3:81-89. Kays, R., Tilak, S., Crofoot, M., Fountain, T., Obando, D., Ortega, A., Kuemmeth, F., Mandel, J., Swenson, G., Lambert, T., Hirsch1, B. & Wikelski, M. (2011) Tracking animal location and activity with an automated radio telemetry system in a tropical rainforest. The Computer Journal, 54, 1931-1948. Manzo, E., Bartolommei, P., Rowcliffe, J.M. & Cozzolino, R. (2012) Estimation of population density of European pine marten in Central Italy using camera trapping. Acta Theriologica, 57, 165-172. Msuha, M. J., Carbone, C., Pettorelli, N., & Durant, S. M. (2012). Conserving biodiversity in a changing world: land use change and species richness in northern Tanzania. Biodiversity and Conservation, 21(11), 2747–2759. doi:10.1007/s10531-012-0331-1. Pettorelli, N., Lobora, A.L., Msuha, M.J., Foley, C. & Durant, S.M. (2010) Carnivore biodiversity in Tanzania: revealing the distribution patterns of secretive mammals using camera traps. Animal Conservation, 13, 131-139. Rowcliffe, J.M. & Carbone, C. (2008) Surveys using camera traps: are we looking to a brighter future? Animal Conservation, 11, 185-186. Rowcliffe, J.M., Carbone, C., Jansen, P.A., Kays, R. & Kranstauber, B. (2011) Quantifying the sensitivity of camera traps: an adapted distance sampling approach. Methods in Ecology and Evolution, 2, 464-476. Rowcliffe, J. M., C. Carbone, R. Kays, and B. Kranstauber. 2014. Density estimation using camera trap surveys: the Random Encounter Model. Pages 317-324 in P. D. Meek, P. J. S. Fleming, A. G. Ballard, P. B. Banks, A. W. Claridge, J. G. Sanderson, and D. E. Swann, editors. Camera Trapping in Wildlife Research and Management CSIRO Publishing, Melbourne, Australia. Rowcliffe, J. M., P. A. Jansen, R. Kays, B. Kranstauber, and C. Carbone. 2016. Wildlife speed cameras: measuring animal travel speed and day range using camera traps. Remote Sensing in Ecology and Conservation 2:84-94. Steenweg, R., M. Hebblewhite, R. Kays, J. Ahumada, J. T. Fisher, C. Burton, S. E. Townsend, C. Carbone, J. M. Rowcliffe, J. Whittington, J. Brodie, J. A. Royle, A. Switalski, A. P. Clevenger, N. Heim, and L. N. Rich. 2017. Scaling up camera traps — monitoring the planet's biodiversity with networks of remote sensors. Frontiers in Ecology and the Environment 15:26-34. Suselbeek, L., Emsens, W.-J., Hirsch, B.T., Kays, R., Rowcliffe, J.M., Zamora-Gutierrez, V. & Jansen, P.A. (2014) Food acqusition and predator avoidance in a Neotropical rodent. Animal Behaviour, 88, 41-48. Wearn, O. R., J. M. Rowcliffe, C. Carbone, M. Pfeifer, H. Bernard, and R. M. Ewers. 2017. Mammalian species abundance across a gradient of tropical land-use intensity: a hierarchical multi-species modelling approach. Biological Conservation 212:162-171. Wearn, O. R., C. Carbone, J. M. Rowcliffe, H. Bernard, and R. M. Ewers. 2016. Grain-dependent responses of mammalian diversity to land-use and the implications for conservation set-aside. Ecological Applications 26:1409–1420. Raj Amin, Sophie Adwick, Hem Baral, Chris Barichievy, Tek-Raj Bhatt, Gitanjali Bhattacharya, Craig Bruce, Tom Bruce, Chris Carbone, Nathan Conaboy, Laura D’Arcy, Sarah Durant, Julien Godfrey, Chris Gordon, Linda Kerley, Paul De’Ornellas, Steve Paglia, Oktafa Puspita, Andjar Rafiastanto, Chris Ransom, Marcus Rowcliffe, Vince Smith, Tim Wacher, Carly Waterman, Oliver Wearn. WWF, Panthera, Kenya Wildlife Service, Saudi Wildlife Authority, Sahara Conservation Fund, Mohamed bin Zayed Conservation Fund, Google and many others. For further information on sponsors and partners, please see the project page. A wildlife camera ‘trap’ is a camera left at a promising location, rigged so any approaching wild animal will automatically trigger the shutter release and take one or more photos or video sequences of itself, without the photographer being present. Camera trapping is a central tool for conservation. It allows us to extend the reach of data collection over wider areas and over much greater periods of time. As well as pictures, camera traps can be set up to record video as well. Find out more about how this footage has helped aid ZSL's conservation work. This film, shot in Sapo National Park, 2011, is the first to capture a wild pygmy hippopotamus in Liberia. ZSL has camera traps around the world, which help with biodiversity monitoring and conservation. Below is a summary of ZSL's conservation projects which use camera traps as part of their work. Description: Camera trapping mammal biodiversity with particular interest in the Critically Endangered Aders’ duiker at four forest locations, Boni National Reserve, Dodori National Reserve, Boni Forest and Arbaubko-Sokoke National Reserve. Description: Camera trapping mammal biodiversity with particular focus on the Endangered pygmy hippo in the Sapo National Park. Description: Camera trapping to monitor the Endangered pygmy hippo species in the Loma Mountains. Description: Camera trapping mammal biodiversity and monitoring, with a particular focus on the endangered Chimpanzee. - Biodiversity surveys (Baseline survey) in Sumatra, PT Kencana Sawit in the West, Dangku Landscape in the South. - Rapid occupancy surveys, Berbak Carbon Initiative baseline surveys and specific monitoring of the Critically Endangered Sumatran tiger, were carried out using camera traps in Berbak National Park in the East of Sumatra. - Baseline surveys and tiger monitoring surveys were carried out using camera traps in Sembilang National Park in Sumatra. - Baseline surveys, occupancy surveys and tiger monitoring in the Dangku Wildlife Reserve in Central South Sumatra. Description: Camera trapping surveys to estimate tiger populations of the Endangered Indochinese tiger subspecies in Salakpra Conservation Landscape. Description: Camera trapping surveys in Thailand for estimate biodiversity in the area, with a focus on the Critically Endangered Chinese pangolin. Part of our major pangolin conservation work. Description: Camera trapping surveys of the Critically Endangered Amur Tiger populations in the following locations in Russia, Lazovsky State Nature Zapovednik and Zov Tigra National Park. Description: Camera trapping surveys for baseline data of biodiversity to estimate species occupancy and species interactions in two locations in Saudi Arabia, Ibex Reserve and Uruq Bani Ma’Arid.